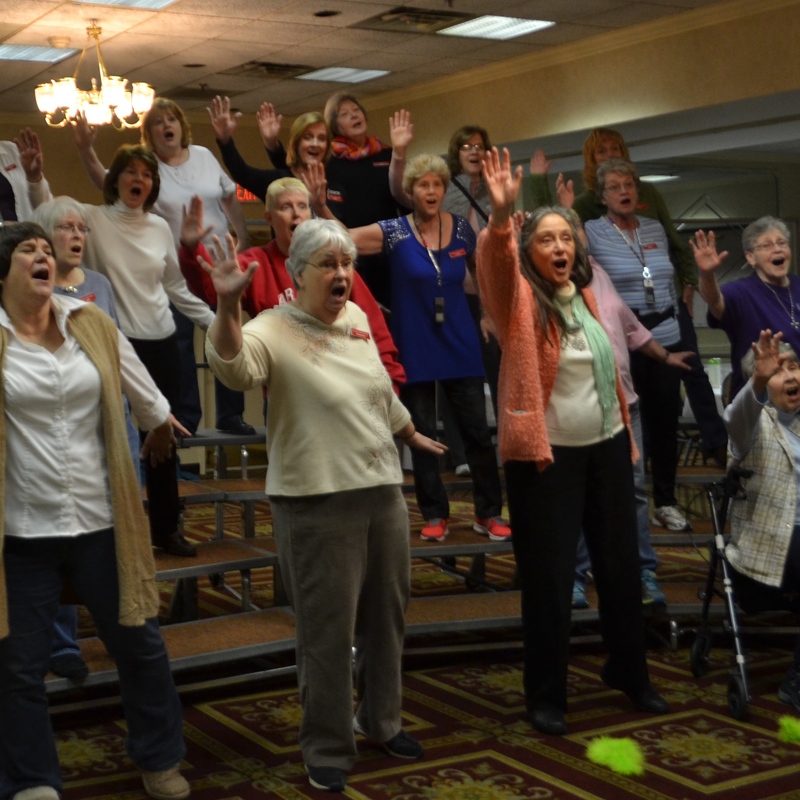 You’ll have an opportunity to hear us perform four- part a cappella harmony and you’ll be invited to join us on the risers to experience the music for which Sweet Adelines Choruses are known. Then we have a vocal warm up to get ready to make that beautiful barbershop sound.. There is a vocal lesson every week. It is really is a great escape from the stress of the day and problems of every day life. We are a family, a team, a chorus . We love getting together each week sharing friendships as well as great music. Have I convinced you? We have your music ready! See you Monday night!